If you have been suffered a burglary at your domestic or commercial property, then London Locksmiths' team of highly experienced burglary repair team can provide emergency repairs to secure your home until any damaged windows and doors can be made permanently safe and secure as soon as the scene of crimes team gives us the go ahead. In the meantime you to contact your insurance company, liaise with the police. In the meantime we can arrange for a glazier and carpenter to carryout burglary damage repair before London Locksmiths return to carry out a permanent upgrade of your security, including door and window locks. 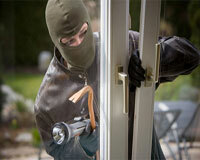 We can also offer advice regarding burglary alarm systems and if necessary CCTV installations. Statistics indicate you are more likely to become a victim of burglary if you have no appropriate home security, approximately 22.5%; meanwhile this figure drops to around 2.5% with homes having upgraded security including; deadbolts, window locks and security chains. 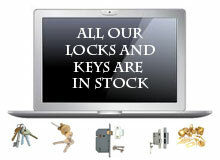 Call us today and speak to one of our locksmiths operators today about improving your security and piece of mind! 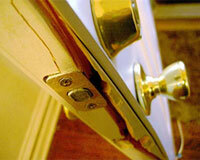 London Locksmiths provide a full range of locksmith and security services. Below is a list of the security services we offer across the whole of London.